What is the importance of traditional restaurants for the actual food scene? 50 has become an important number for restaurant industry in the last years. The most influential restaurant’s list in the moment elects the Best 50 venues around the world. The first World’s 50 Best Restaurants list appeared in 2002, in Restaurant, a British magazine, and since then the number 50 has stalked chefs and restaurant owners in order to be part of this select list. In common, many of them have average food in an exceptional setting, are located specially in Europe, offer long tasting menus and are run by men. Which is not new when we are talking about the fine-dining scene. And many, as a quick research might show, are not even 10 years old – some are even still pre-schoolers. But is it possible for a restaurant with only a couple of years to be considered one of the best ones in the whole world? Shouldn’t time be a factor in measuring constancy and quality in many of these businesess? These questions bothered me and Brazilian chef Janaína Rueda when we had a conversation about the 50 Best list. We were sitting at one of the tables of the restaurant of her husband, Jefferson Rueda. (Ironically, he is in the Latin America’s 50 Best restaurants list, ranked as #24 with A Casa do Porco). In our chat, we were trying to answer ourselves: are the best restaurants those on a select (and impossible) list of 50, or those that remain open for 50 years (or more), serving well their loyal clientele? The search for the best answer came with the idea to visit all the restaurants in São Paulo – the city we live in – with more than 50 years of activity. We started to meet each other for lunch in many of them weekly. We started from the representative number of 50 and did an extensive research about São Paulo’s gastronomy, consulted former regulars, went to newspaper archives. And we left with a surprisingly crowded list of restaurants with more than 5 decades of existence and we visited them tasting their recipes, their specialties. There were more than 50 of them, it was a sign! We were reminded of dishes that have become symbols of São Paulo gastronomy, we heard stories about the elaboration of many of them, stories of their founders, stories from their patrons. 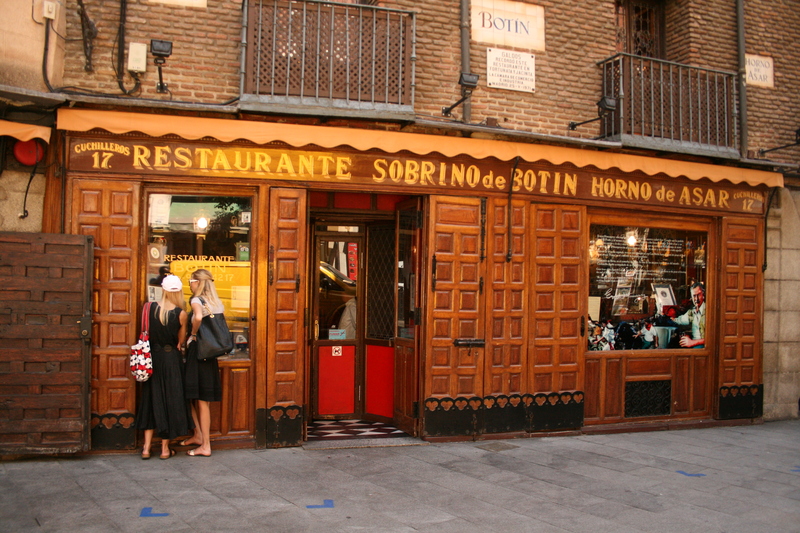 These traditional restaurants are full of stories. Not only in São Paulo, of course, but also in London, in Paris, in Madrid, in Lisbon. In New York, a city that dictates some of the world’s top food trends, restaurants like Russ & Daughters and Katz’s Delicatessen (opened in 1914 and 1888, respectively) still influence the gastronomy scene – not only locally, but also internationally. 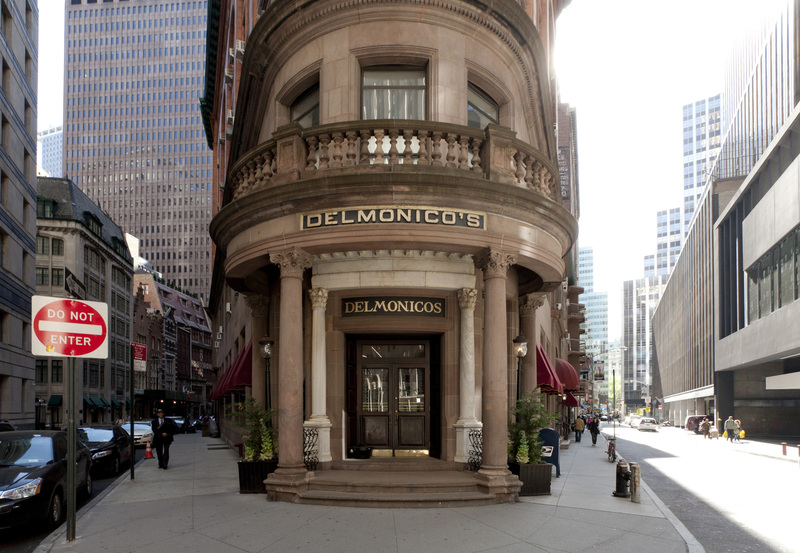 Look at Delmonico’s!! Look at Balthazar! These are the restaurants that create a reputation around food in big cities. In these restaurants, everything seems to remain in our most affectionate past, when going out to eat was more a program around family and people than authoral dishes and who cooked them. There was no need for renowned chefs, architects signing the rooms, kids spaces, menus with raviolonis stuffed with concepts. The food was good, the waiter knew our father’s name, we paid the bill and left, always satisfied. No one was photographing the dishes and did not bother reading the Foursquare ratings and comments. Another important fact about these traditional establishments is how they help us to understand our own history: many cities around the world are a mosaic of different cultures that have arrived and settled. Cities of immigrants from various parts of the world – Italy, France, Greece, Japan, Armenia, Israel, – that shaped our food habits and culture. What has become New York’s food is the amalgam of these cultures, the rich blend that helped to thicken the broth of a typical cuisine. Just like it happend in London, Paris, Rio de Janeiro, etc. Have you ever thought of Sao Paulo without the Arabian flavor and spices that the immigrants brought in? NYC without the pizza, a recipe that found fertile ground in a city with so many Italian immigrants? Lima without the Nikkei culture, the Japanese-Peruvian culinary movement? These pioneer restaurants have helped introduce and shape the cuisine we know – and recognize – today. Without them – and without the enterprising immigrants who founded them – our diet would be very different. But what has kept these restaurants – and not others – open for so long? Why have they been able to challenge the statistics and mortality rates of this segment? Of course there is no formula, maybe there isn’t even an answer. I only dare to make some conjectures: in the dozens of restaurants with more than 5 decades I visited, they had in common the desire to maintain their own identity, to honor their own history. Not by chance, many of them were perpetuated in the same families by two, three and, in some cases, four generations. That keeps that link, this concern alive, latent. The memory that descendants and locals try to respect and to carry on. Even those who changed hands and owners in general have been able to follow the same path, believing in the history that these businesess built and adopting the mission to recount it every night, when clients arrive and settle at their tables – every restaurant tells a story, after all, through its food, its service, and the music chosen to play. We visit them to listen to these stories, and we only return to hear the ones that moved us most. Perhaps, then, we could summarize: the restaurants that remained open for decades to this day are not only those who have only a good story, but those who believed in it so much that they knew how to tell it better and better, attracting those who have already heard it and those who are there to hear them for the first time. A daily and intense work, which runs through the food served, the attentive and solicitous waiter, the ambiance they built around themselves … Every day they open to tell the same old story – hoping that there will be those who are willing to listen to it. And so, they may translate this story into history, beyond lists.